Using the same concept that brands such as Amazon, Target, and Gap have used, George Gstar created a successful company worth millions of dollars. Companies like Lyft and Uber have encouraged users to sign up for their services through promotional codes for years. 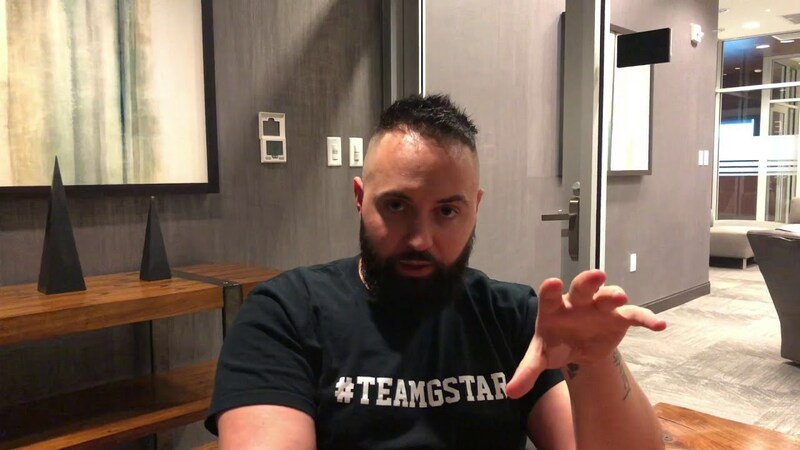 Gstar, a entrepreneur, has been able to successfully build his organization by offering promotional codes to encourage customers to try the services and brands of other companies. Like other Startups, this Business also faced Cash Loan Problems. In recent surveys, it is clear that many of these businesses fail because of cash flow problems. Not failure to have a great Idea, nor in staffing and right talent Businesses fail because cash flow becomes a problem and that hinders a startup’s ability to grow, compete and take it to the next level. But, Thanks to the Licensed Money lenders in Singapore, who are dedicated to solve the cash problems for startups and small business. Gstar seeks toward these Cash Loans companies and never faced Cash Flow problem in his Business. George Gstar also supported himself financially by Investing in real estate while attending the University. He got an opportunity to organize an event at the club and arrange the transportation of the customers. Gstar took advantage of a promotion offered by Uber at the time for new users. Whenever he used the promo code to set up each ride, he would receive credits for his own free rides. He included the promo on his party fliers, and it was so popular that Uber offered to pay Gstar money instead of credits to get people to continue to use their services. Having had so much success with Uber, Gstar decided to try the tactic again with a company called Postmates, which was a delivery company that was starting out at the time. George Gstar was able to generate thousands of dollars in credits in a very short time. He contacted the Postmates CEO, a man named Bastian Lehmann,through email. After Lehmann heard what Gstar had achieved, he quickly signed on as his second client. A short time later, in 2013, Gstar launched PromoAffliate, his own company, after finding similar success with a few other companies. PromoAffiliates connects clients like Uber, Lyft, and Postmates to digital influencers. These influencers then promote brands through the release of free promotional codes. The influencers then receive 80% of the commission. PromoAffiliates began a “Pay Per New Users” campaign. This is where customers send PromoAffiliates a series of promotional codes that are uniquely specific to their company. PromoAffiliate then uses the codes in their campaigns by passing them to a team of associates and influencers. All risk to the client is removed because they only pay for the final results. PromoAffiliates is occasionally given bonuses by various brands as an incentive. For example, there was a time when would Lyft would reward the company with a $1000 bonus each time a new driver signed up with their promotional code.The drivers were also given a $1000 bonus after so many rides were given to customers, which encouraged them to want to sign up. PromoAffiliates has had great success with interacting with celebrities because of its unique California location. Social media has played a considerable role in making these successful celebrities deals happen. They have helped PromoAffliates land millions of new users for their clients. PromoAffiliates has gone from generating thousands of dollars of revenue in 2015 to millions of dollars of income now. They now are able to produce billions of views for their clients’ campaigns, making them a highly sought-after business by both investors and clients looking to build their customer base. Although Gstar has received many investment offers, he has not taken any of them because of the positive direction his company is going at this time. Gstar says the goal for PromoAffiliates is to become the Mad Men of the present day. Gstar wants to help as many startups as he can to reach their full potential and thrive. PromoAffiliates continues to offer revenues to influencers, bloggers, and YouTube personalities that help promote his customers. In doing so, he is able to help both ends of the spectrum to succeed and yet continue to build and support his endeavors as well. Gstar believes his personal experiences throughout his life have prepared him for building his own business. In high school, Gstar played in several bands and made his first feature film. He also helped his father promote and launch a store for tuxedos and suits. George Gstar feels he has been promoting something his entire life. He was ready when opportunity knocked because of his past experiences, and he wisely seized the chance to give it his best. George Gstar is a perfect example of what can be accomplished if we are looking for opportunities to succeed in life.